This interview with HKTDC’s Chris Lo was conducted and condensed by Hannah Leung of EntrepreneurHK (EHK). EHK chats with HKTDC’s Chris Lo, who tells us why you should attend Hong Kong’s 10th Inno Design Tech Expo. Celebrating its decade mark, this year’s Inno Design Tech Expo (IDT Expo) is set to be bigger and better. As the name suggests, the event focuses on all aspects of design and the latest in technology applications. This year, IDT Expo will partner with Sweden to feature beloved brands like Ankarsrum, Electrolux, IKEA, Scania, Sweco, Veryday, Volvo and more. The event that runs Dec 4-6 will gather over 400 exhibitors with an expected 35,000 public and trade visitors. There are also new zones added this year: the Global Invention Zone featuring 100 local and overseas invented products, and a Start-ups Zone, devoted for new entrepreneurs and innovative businesses. The event is organized by the Hong Kong Trade Development Council (HKTDC), which works on promoting global trade. We sat down with Chris Lo, HKTDC Service Promotion Manager to find out more what to look forward to. What can the general public expect? From the general consumer perspective, they can expect a lot of new design and technology. This ranges from product to interior to digital – all types. This year we have over 15 countries and regions coming to exhibit, showing what is new, with Sweden as the partner country for this year’s Expo. This year we expect to have around 400 exhibitors (+8%) and there are many programs catered for creative and tech startups and SMEs. How is this different from the other years? 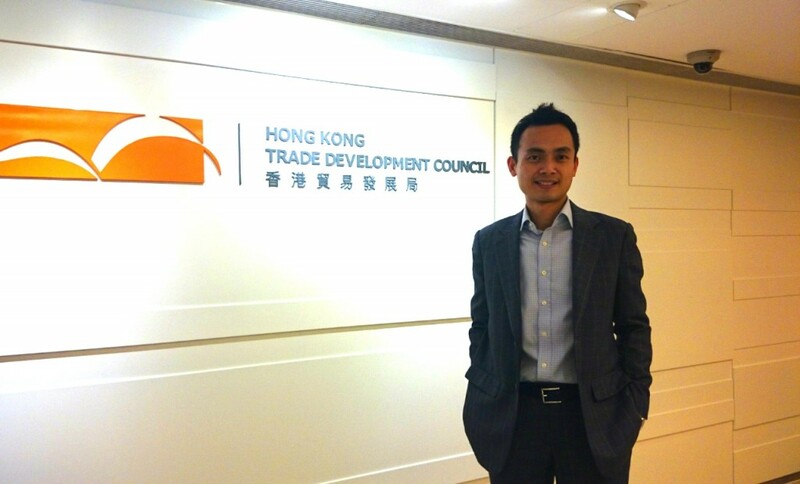 HKTDC aims to build up an international platform and present Hong Kong as an international hub. This is a multi-dimensional event, showcasing a lot of creative force and entrepreneurship. We’re offering exclusive deals for companies to participate. We have a new invention zone, to showcase global inventions. For startups and entrepreneurs, we have a special package and program to facilitate them to keep abreast of the latest market trends and network with potential customers. Newcomers and startups have good ideas and need to find a proper channel to develop potential partnerships. Participation from mainland China is seen to be more substantial. We will have our first pavilion from Chengdu and Nanjing for example. What are you personally most excited about? This is not easy…but if I was a general visitor interested in design and technology, I’d be interested in the pavilion staged by Sweden, our partner country, there will be famous brands like IKEA – who will showcase their PS furnishing collection – and Volvo, who will debut their new Volvo XC90 in Hong Kong. There will also be highlight about digital and 3D printing, and related workshops for designers and traders to participate. Learning about the latest technology is important. How will this event help startups? This year we will try to showcase more creative and tech startups. We are going to provide exhibiting kiosks at a discount participation fee which is new in the Expo. We thought providing incentives for startups will encourage more to participate. We will also have abundant networking opportunities at the show, from investor meetings to cocktail functions. Startups need to catch up on the latest market trends and engage in peer-to-peer exchange. How can startups maximize in this event? Well first, we definitely recommend they take a space at the show! Once so, prepare and present marketing materials to arouse investor interest. They should also have an open mind to get ready to talk to a lot of people, showcase their entrepreneurship. Are young people still flocking to Hong Kong to start their own business, or are other city-states like Singapore more attractive, given the initiatives and funding provided to startups? I think Hong Kong has a great system for business. In the last few years, I’ve seen many foreigners come here to set up their business because of our tax system, flexibility, resources and the city’s extensive talents. The government has been funding a lot to support creative and technology partners. Hong Kong is also unique because of its geographical location. There are huge opportunities nearby in China. We speak the same language, yet we understand the Western business culture. There are also many large areas for startups developing, i.e., we work with Hong Kong Science & Technology Park and also Hong Kong Design Centre for instance. All these institutions are important for the growth of startups. Are VCs and investors in Hong Kong willing to fund startups, or are they more cautious? We invite and meet with a lot of investors. It’s true that they’re all very business oriented, and that we are not like some creative hubs where the startups ecosystem is as mature. Hong Kong has a lot of innovative projects taking place, but does not have a scene acknowledged by the general public. But I think there’s huge potential. Essentially, investors are looking for substantial return of investment. They really want projects to succeed. Some investors even have accelerator programs, to really get the project rolling. They want to get a good return on investment. In that sense, this (concept) about startups is quite common in Hong Kong. What future events will HKTDC hold that startups and SMEs can look forward to? On May 29-30 2015, we will hold an event called Entrepreneur Day. It’s another event we organize to help people who have entrepreneurial ideas to develop their business. We also organize programs targeted for startups in various thematic exhibitions etc. Based on the people you’ve come across your way, what are some common characteristics of successful entrepreneurs in Hong Kong? Of course, you need some luck. But more than luck, you need partnerships and strategies. You can’t just have an idea and stay in your room. You need to network with other people, find a way to explore partnerships. We try to provide platforms and solutions for these startups and projects to get them going. The Inno Design Tech Expo (IDT Expo) 2014 runs from December 4-6, at the Hong Kong Convention and Exhibition Center. Admission is free. Click here for more info.